“Mum has her eye on you” can take on a whole different meaning with mixed media prints! Stuff-It-Can-Go-On & photos galore make for a fantastic range of gifts for yourself & others. Phone cases, t-shirts, hoodies, skirts, mugs, pillows, & stickers are only some of a heap of wonderful possibilities that I’ve set up through RedBubble, for simplicity & security of ordering. 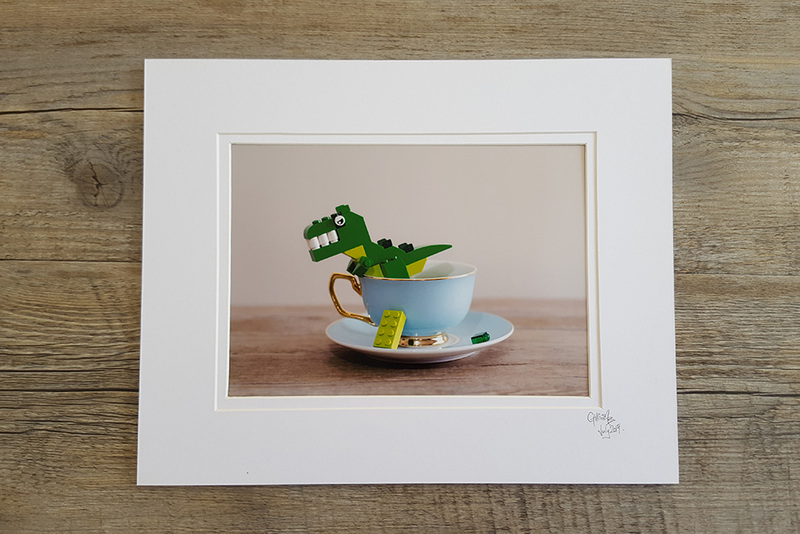 They look after the printing, packaging, money handling & shipping on my behalf, which means I’ve got more time to spend taking & processing photographs! That’s great, right? Right! 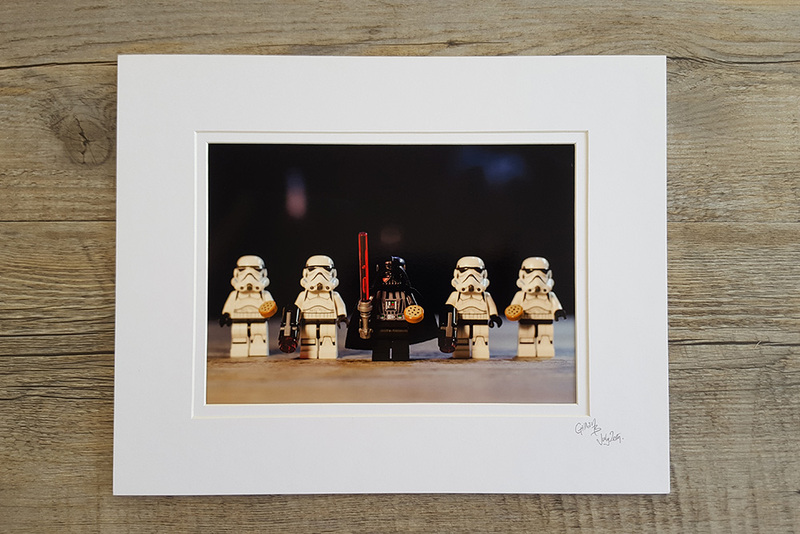 You can also easily send a gift of a print, directly to the person you want to spoil! Make sure the billing address is yours & the delivery address is theirs, & voila! They will email your payment confirmation and receipt, so it’s also a good idea to use your own email address, to keep your secret. Occasionally, Redbubble will have a single day sale on certain product types. 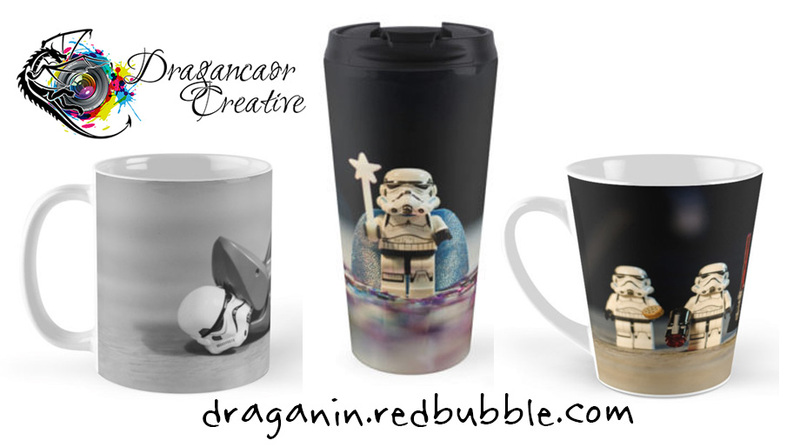 You can find out about these in a couple of ways – sign up for Redbubble’s mailing list, or join the Dragancaor Creative group on facebook. Whenever I know of a Redbubble sale, I will post the sale code in that group…. & I’ll let people know of sales that I’m holding outside of Redbubble as well (such as market stall locations, & product discounts). So what can you actually get your hands on? There are so many options! You could be the envy of your office block with a quirky mug or tall mug, or bring a bit of extra colour to your journey with a travel mug. Or just glare all of your friends & family down while you have a storm trooper guarding your tea, earl grey, hot. Greeting cards make for unique & fun birthdays & celebrations, a different take on Christmas, & postcards are a neat way of bringing something that isn’t a bill to your friend’s home letterbox. I have a range of greeting cards as stock on hand, including sets of 5 christmas cards. They come with envelopes & are individually wrapped. If you are purchasing through me direct, the prices for cards are $5 each or 5 cards for $20. Signed matted prints are available through me for $20 each or 3 prints for $50. I also carry a range of these images as stock on hand. You can also wear one of my pieces! It happens more than you’d think (certainly more than I expected!). Skirts, tshirts of varying styles, jumpers, hoodies, baby onesies, skirts, & leggings. The skirts are a shiny nylon – think Wild Bangarang or Black Milk. Tshirts & hoodies are a comfortable cotton or cotton blend, but there are so very many options available that it would take more than just this page to explain them all! Needless to say, they’re long lasting, individual and extremely useful for abiding by public decency laws. I have a couple of different shirts & hoodies from Redbubble in my own wardrobe – a number of them are over 5 years old… not that you’d know it. There are tote bags or backpacks, adorable little purses, & pillows you can throw just about anywhere in your home. Laptop skins & sleeves can make work or uni that little bit brighter, & they’re a great conversation starter! Phone cases have a great range of options! If you’re still using your faithful old iphone 4 or samsung galaxy S3, you can still get your hands on a fun phone case that will fit your reliable old friend. For those who have updated to newer technologies, you’ll find everything up to the iphone 6s & plus, as well as the galaxy s7 & edge, are available. We’ve tested the S6 & S7 tough cases, shown above, which have a silicone liner that works as a shock absorber. In both cases, they’re a good fit (easy to put on & secure), the buttons line up & don’t stick, & there are no issues getting the charger to fit either. The image is nice & glossy, & after a couple of weeks both are still doing fine with no loss of image quality! If there is something you are after that isn’t mentioned here, or you want a specific photograph of mine on a certain product, please contact me & let me know so that I can make it available for you.